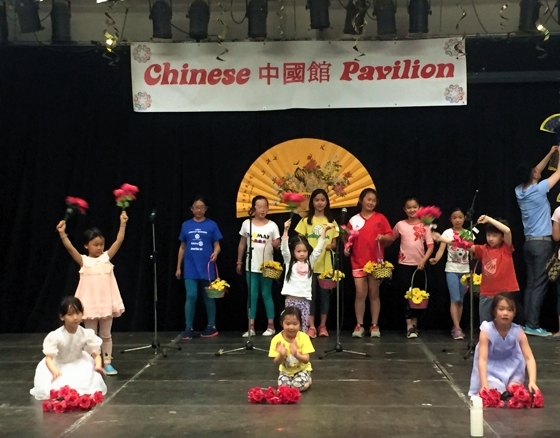 By Dale Johnson Posted: June 2, 2017 6:00 a.m.
Regina’s multiculturalism is being celebrated at the 50th edition of Mosaic this weekend, and two of the pavilions – the Chinese and the Scottish – are at the University of Regina. The Scottish pavilion is in the Owl in the Riddell Centre, and is hosted by the Regina Highland Dance Association. The Owl has been transformed with tartans everywhere – hanging from the ceiling, and serving as tableclothes. Visitors can sample Scottish food, such as haggis, fish and chips, or deep fried Mars bars. “There’s a lot more Celtic music than you normally hear at the Owl, a lot of highland dancing, and we have fiddlers and other Celtic music,” says Alicia Dorwart, co-manager of the Scottish pavilion. Visitors can even try to play the bagpipes. The Chinese pavilion is next door in the Multipurpose Room in the Riddell Centre. There are tai chi demonstrations, folk dances, traditional lion dances and demonstrations of the martial arts. Hosts are the Regina Chinese Canadian Association and the Confucius Institute at the University of Regina. The University of Regina has strong ties with the Chinese community, going back more than 35 years. About half of the international students at the U of R are from China. Since the mid-1980s, thousands of students from China have graduated from the University of Regina. The U of R is pleased to be involved in Mosaic, which is presented by the Regina Multicultural Council.